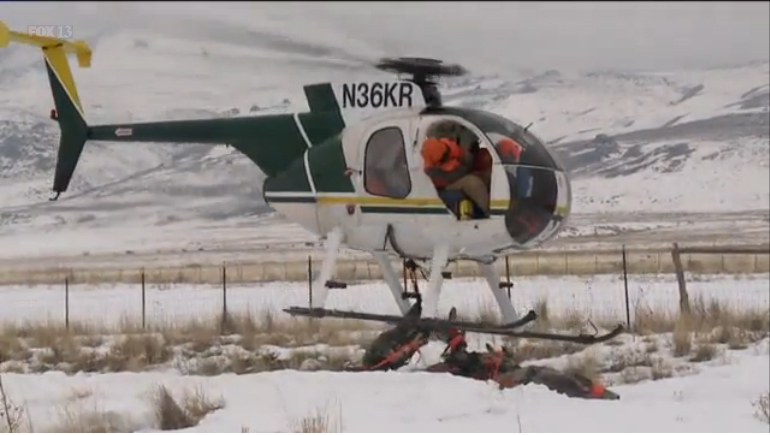 Dragonfly Aviations Chief Pilot Kevin Reed can be seen flying in Fox News 13 Utah’s video about a mule deer relocation effort. The article and video can be seen below. “We’re out here on Antelope Island today, we’re looking at trying to capture a total of 100 deer over a three-day period,” said Leslie McFarlane, who is the wildlife disease program coordinator. Division of Wildlife Resource biologists are working to control the exploding population of mule deer on the island. “Last year we counted 800 deer and our objective for the island is to have 300 to 350 deer, so we have a few too many,” Wildlife Biologist Chad Wilson said. Net guns are fired from above, capturing the deer in a specially designed sling. The animals are then taken to a staging area. “Once the animals are brought in, we’ll take them over, we’ll weigh them, and we have some basic measurements that we’re going to take and then we have some biological samples,” McFarlane said. “It’s hard to control populations through hunting and other sources, so this is a viable option when circumstances like that exist,” Wildlife Biologist Riley Peck said. This is the first time that mule deer have been captured on Antelope Island, and now they will be moved to their new home where deer populations are low. “We hope that it will help the wildlife that is already here mostly because they will be taking less mouths to feed off the island,” Peck said. A trailer will take some of the deer to the Elk Ridge area of San Juan County. Others will be released in the Oak Creek area of Millard County. 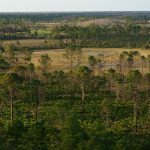 “All those areas are lacking on deer, so hopefully this will bolster the populations up there and get them up and going,” Wilson said. Tracking collars will be placed on the deer to see if the relocation process is effective for the future.